New Construction! Ready Now! 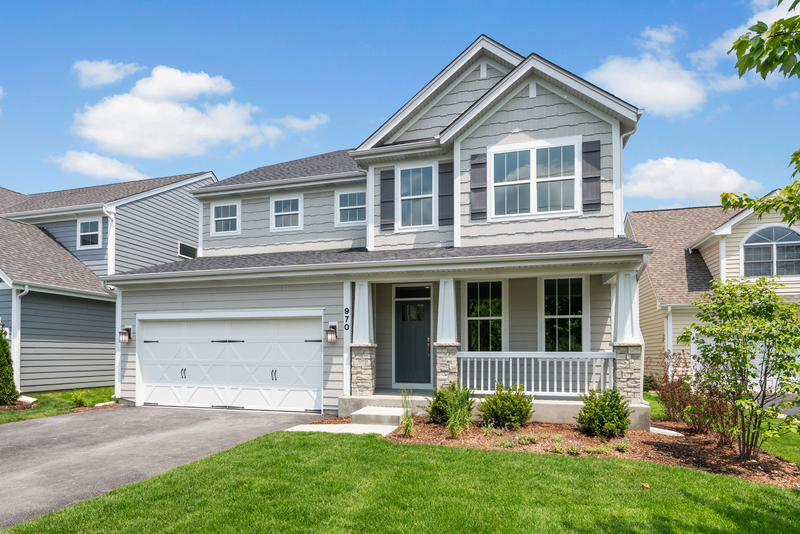 This Graham home boasts over 3,200 sq. ft. of smart living space w/ 4 bedrooms and 3 full baths including a full bath on the main floor. Designer features include a custom paint package, beautiful oak railings, and hardwood floors. The gourmet kitchen is a chef&apos;s dream featuring beautiful painted cabinets, island, granite counters, SS appliances, farm sink, and walk in pantry. The included sunroom is the perfect space to enjoy your morning coffee. Enjoy the convenience of the drop zone off the garage entrance and stay warm during the chilly Chicago months by the stone fireplace on display in the gathering room. The private owner&apos;s suite includes a tray ceiling, large walk in shower, and raised vanity with double sinks-the perfect space to relax after a long day! The deep pour full basement is the ideal space to create a man cave or play room in the future.